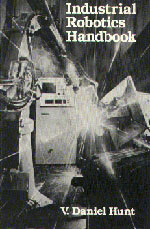 Comprehensive and extensively illustrated, this outstanding reference provides a unique overview of robotics, its hardware, various types, their functions, social issues surrounding their use, and their future in industry. Presents information obtained from a variety of knowledgeable sources. Provides an extensive list of various robotics systems, and the potential of "smart robots" grouped into types of models. Includes important technical material on tolerances, load carrying capacities, price, and names and addresses of companies and individuals to contact for further information. Introduction to Robotics. Robot Configuration. Sensor Systems. Tooling. Application Information. Computer Programming and Integration. Robotic Control Systems. Safety Considerations. Economics of Robotics. Socioeconomic Impact of Robotics. Current Robotic Systems. International Robotic Development. Impact of Robots on Jobs. The Future of Robotics. Index.